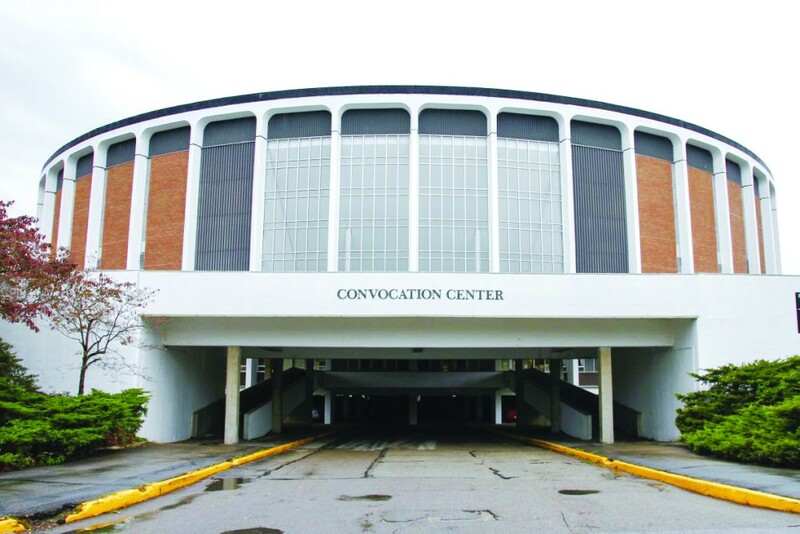 The Ohio Athletic Department announced plans this past spring to install a videboard in The Convo, which would be part of the center’s 50th birthday celebration. From multiple reports, the board is up and hangs in the center of the arena, right below the green banners seen at countless sporting events there. The videoboard had a projected budget of $1,979,705. On Tuesday, Aug. 7, Hermanek announced on Twitter that she had taken a new position as the head coach of the Pitt Panthers. Hermanek departs Athens after leading the Bobcats to a Mid-American Conference championship and a berth in an NCAA Regional Final. Over the course of her 10-year tenure, she posted a 289-252 record with two NCAA Tournament appearances and two MAC Championships. At print time, a new coach for the Bobcats had not been named. In the annual media poll run by the league office, the Bobcats were picked to win the MAC East and the 2018 Marathon MAC Championship game. The Bobcats are coming off a 10-4 season — including a rout of UAB in the Bahamas — which introduced the MAC and country to Nathan Rourke. The quarterback from Canada (#AirCanada) set the program’s record for total touchdowns in a season in his first. Ohio should average more than 40 points per game for the second straight year and be fun to watch. The only questions lie in the defense with many playmakers gone due to graduation. The schedule doesn’t lend itself to a successful season either, as the Bobcats have a bye in week two with 11 straight games following the week off. On July 9, the Bobcats named just their third coach in the history of the program, Carter Cheves. He replaces Bob Cooley, who coached the Bobcats for 30 years. Cheves comes from James Madison after spending five years with the Dukes. He helped 13 Dukes earn All-Colonial Athletic Association honors. The last time Ohio won the conference championship was 1980. The Bobcats start the season on Sept. 10 in the Joe Feaganes Marshall Invitational. Former coach Joe Carbone was selected to be inducted into the ABCA Hall of Fame on July 5. The inductions will be held during the 75th annual ABCA Convention on Friday, Jan. 4, 2019. Carbone finished with a 689-611-2 record in his 24 seasons with the Bobcats, winning two MAC titles. He was also named the conference’s coach of the year twice. In total, he coached 44 players who signed professional baseball contracts.